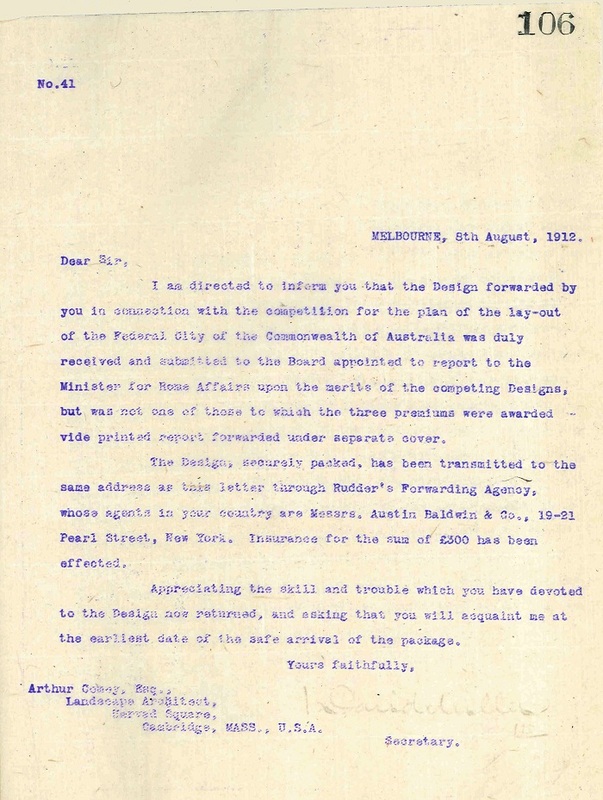 One of the earliest files in the custody of the ACT Government is ‘TL1104#01 FCT [Federal Capital Territory] (a) Preparation of Maps and Design (b) Complimentary Sets of Designs (Letters and Acknowledgments)'. 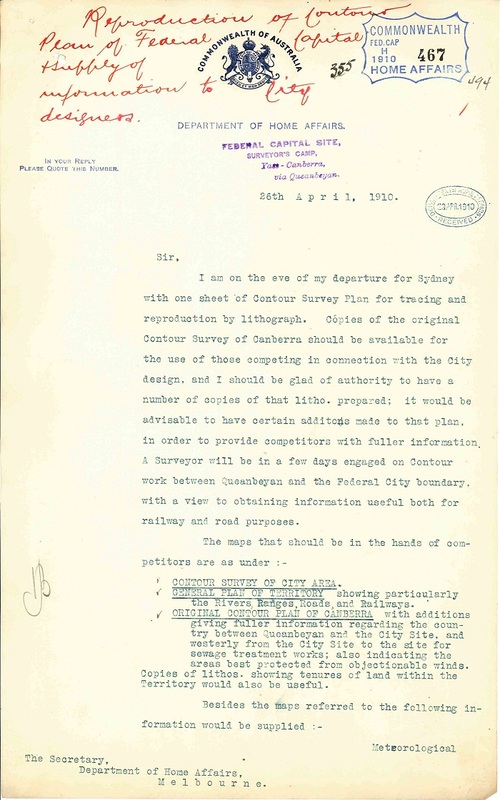 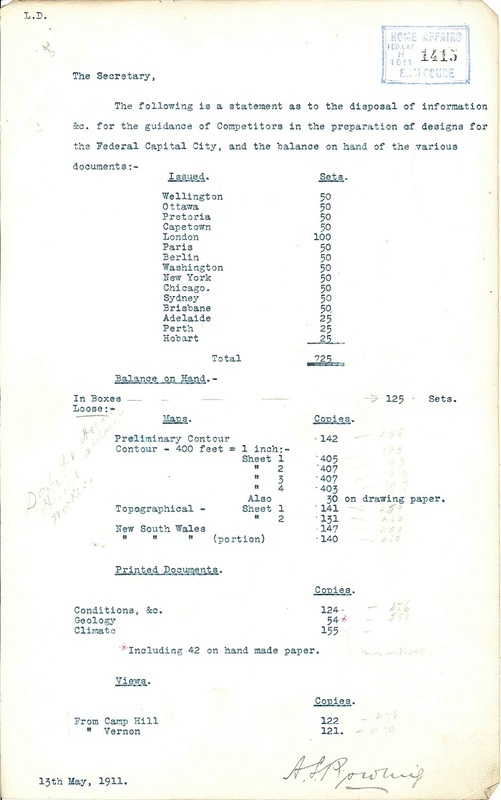 Spanning the years 1910 to 1913, this file covers the preparation and distribution of the maps for the Preparation of Competitive Designs for the Federal Capital City of the Commonwealth of Australia. 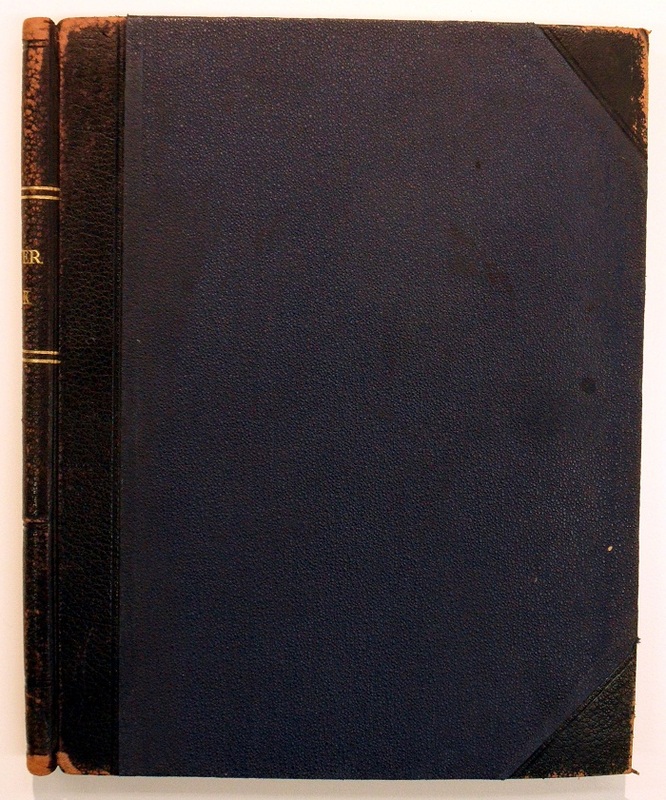 It consists of a Legal sized paper file (8.5 x 14 inches) and a dark blue hardcover letter book (9 x 11 inches). 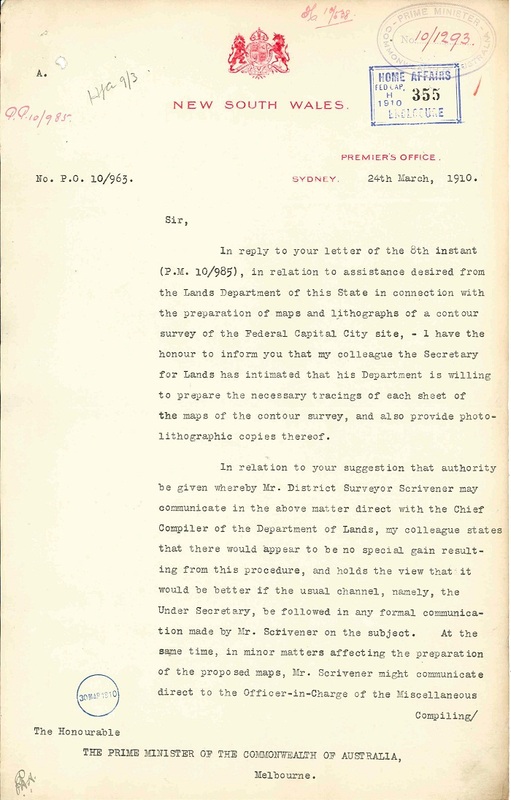 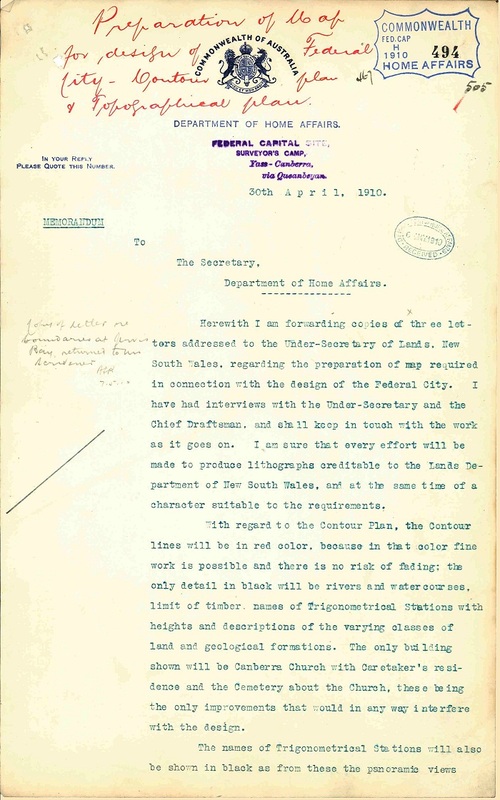 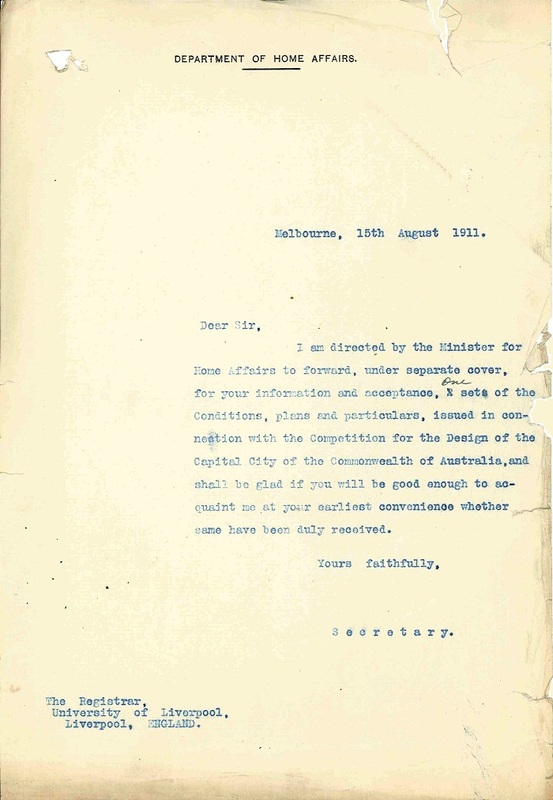 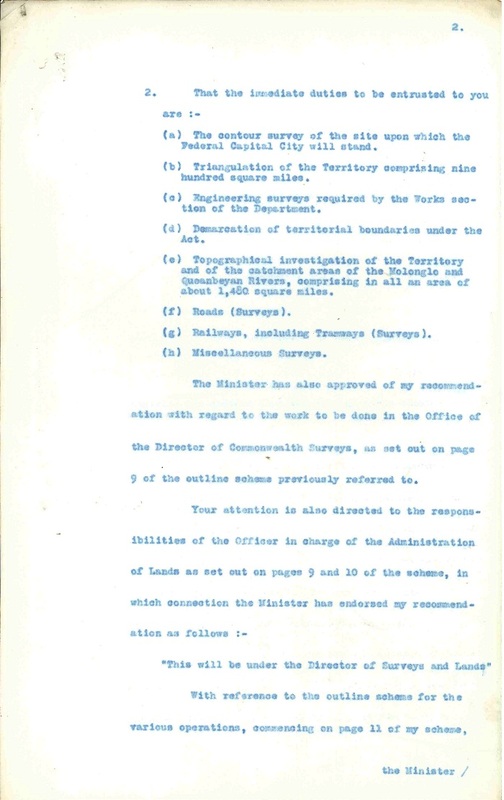 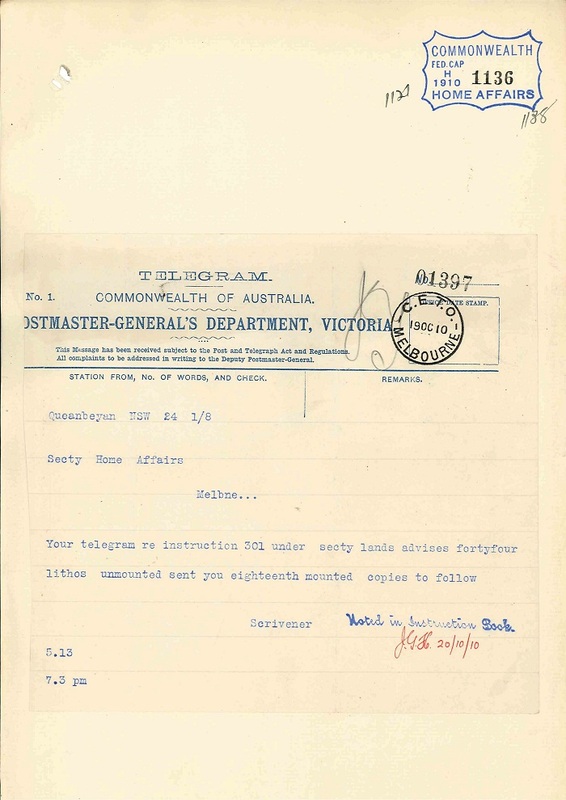 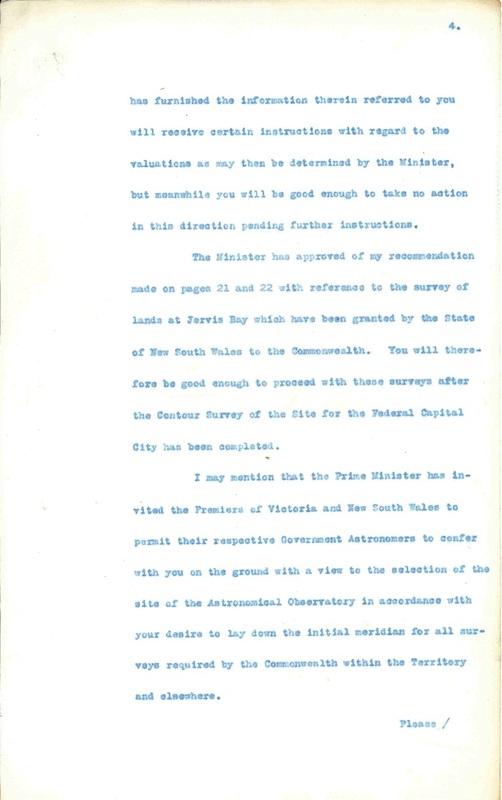 The file begins with a memorandum from the Secretary of the Department of Home Affairs David Miller to the District Surveyor Charles Scrivener dated 14th January 1910, requesting a detailed survey of the site. 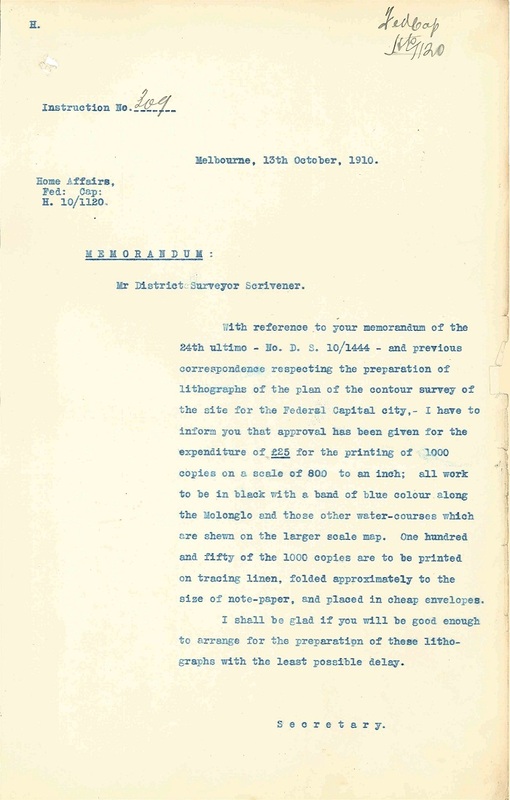 It was accompanied by an outline of the general scheme of procedure set out under the Seat of Government Act 1908 and Seat of Government Acceptance Act 1909. 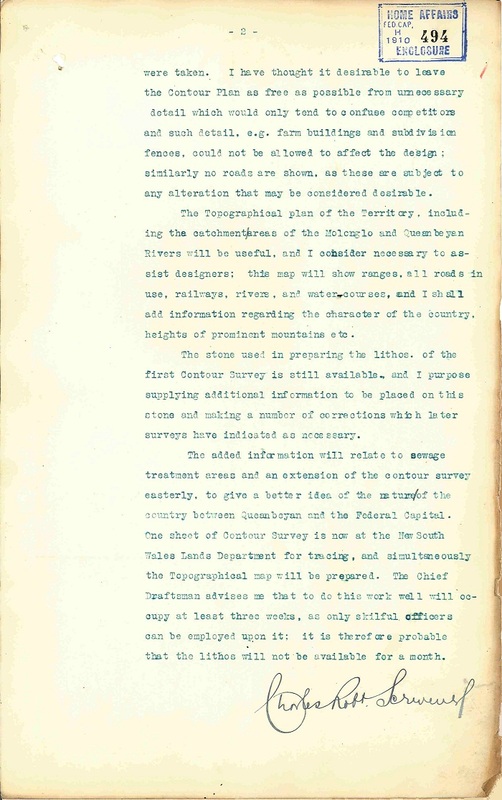 A detailed survey of the city site began on the 23rd of January 1910 as reported in the following memorandum from District Surveyor Charles Scrivener. 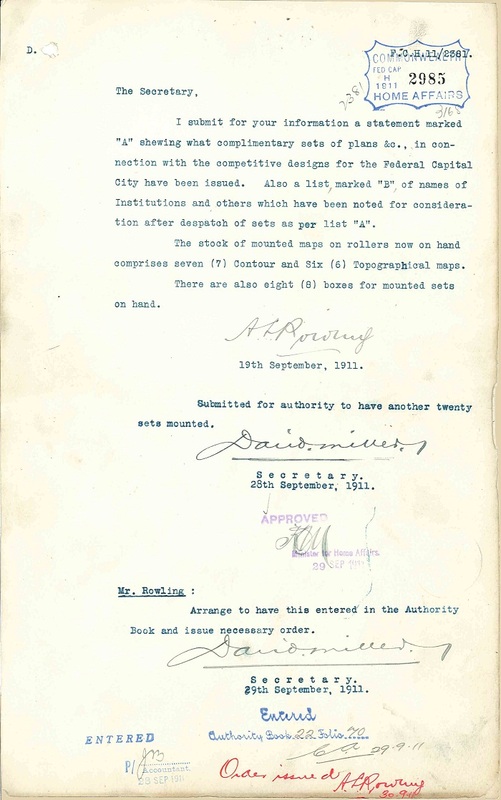 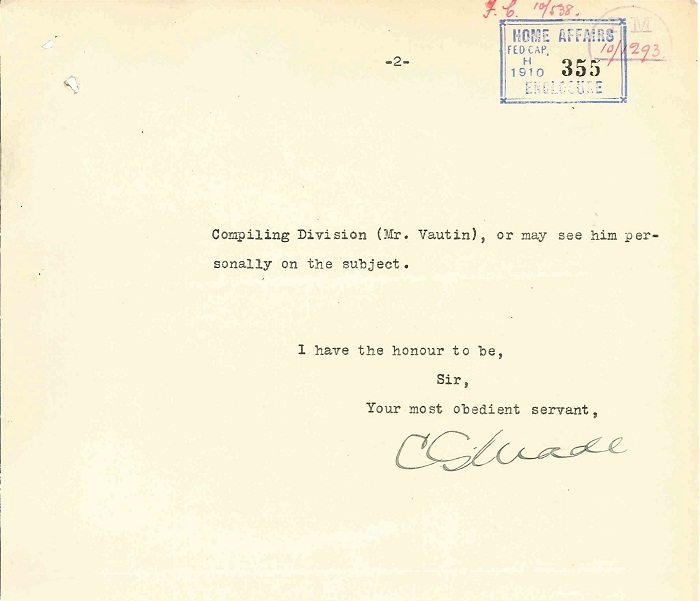 At the request of Prime Minister Deakin, NSW Premier Sir Charles Wade agreed that the NSW Lands Department would produce the lithographs and maps for distribution to the competitions entrants. 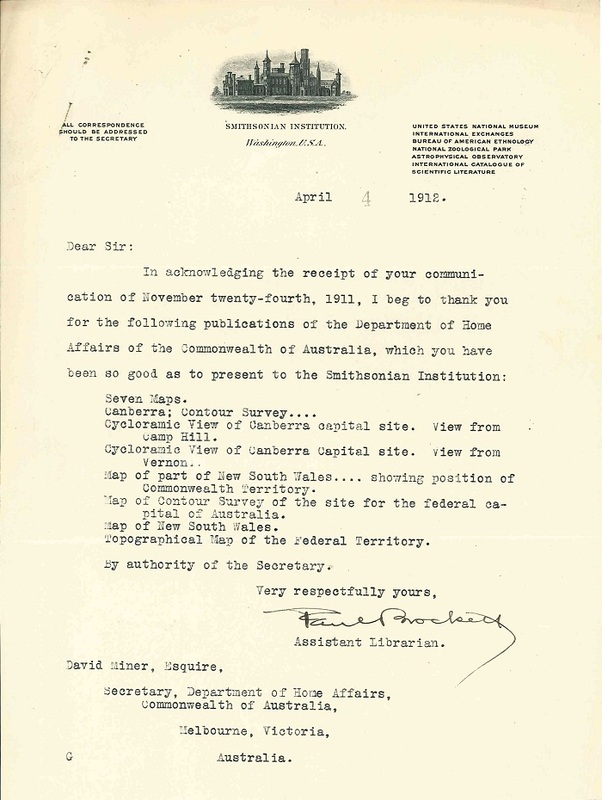 By the end of April 1910, Charles Scrivener had completed the Contour Survey Plan for the site and taken it to Sydney for reproduction. 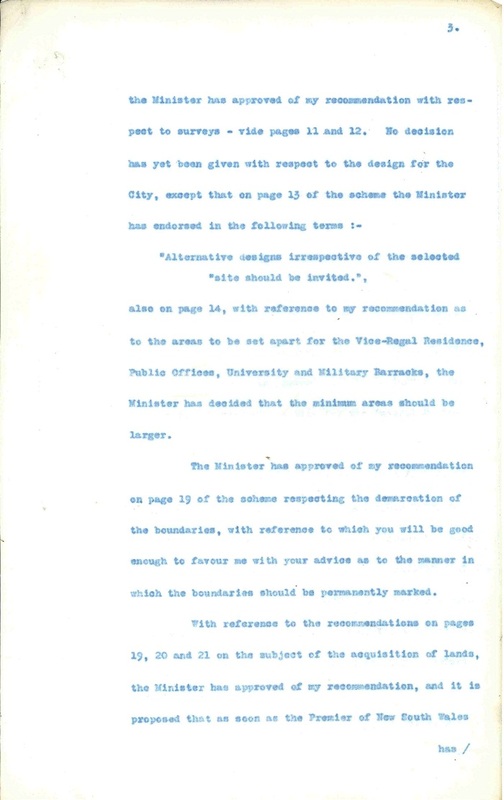 He also suggested additional information that should be provided to design competitors. 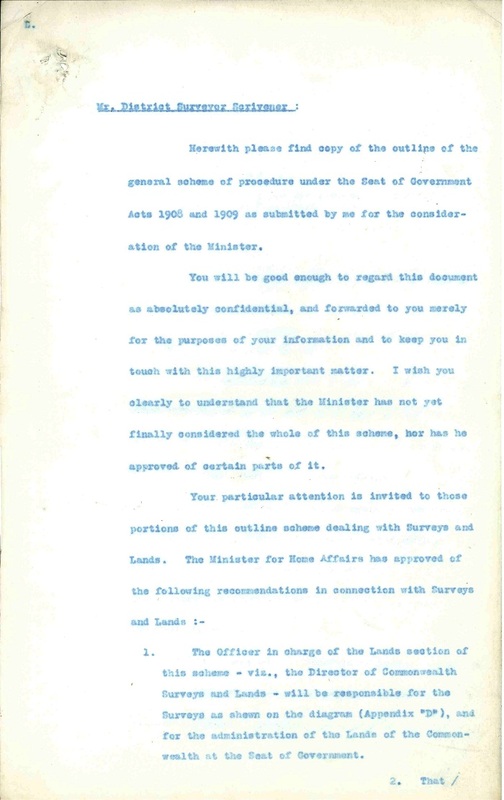 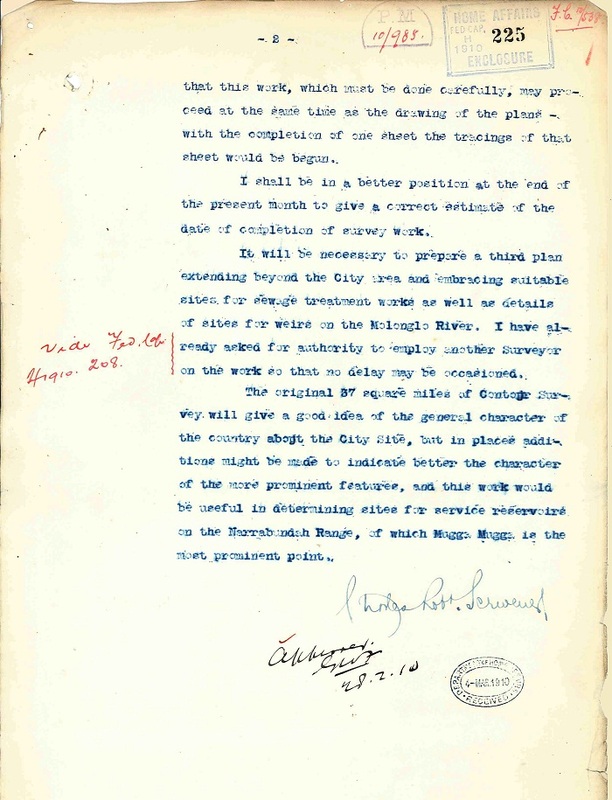 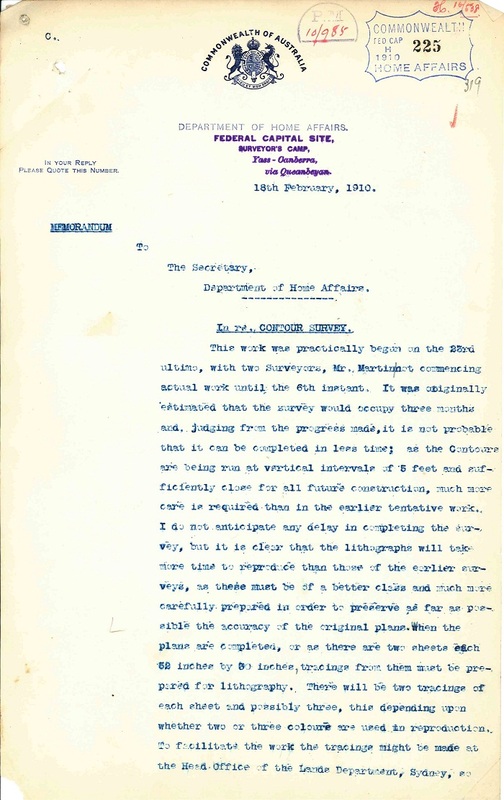 The following memoranda document some of Scrivener's decisions when producing the competition maps and his suggestions for the production of copies. 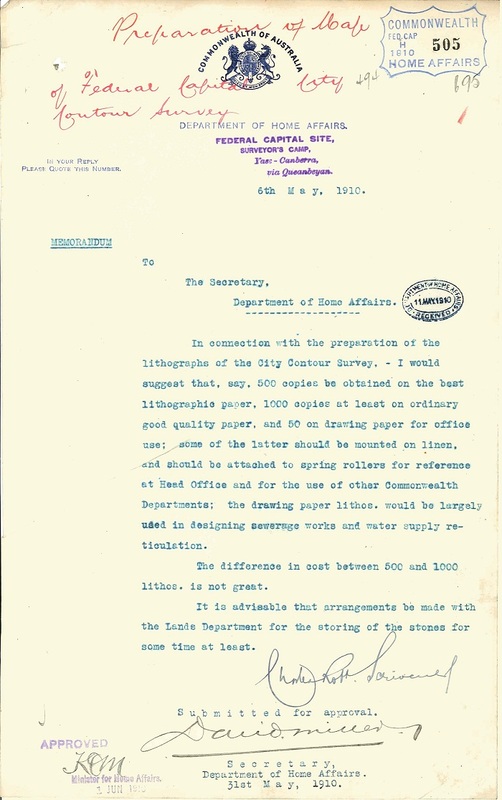 The first batch of unmounted lithographs were delivered in October 1910. 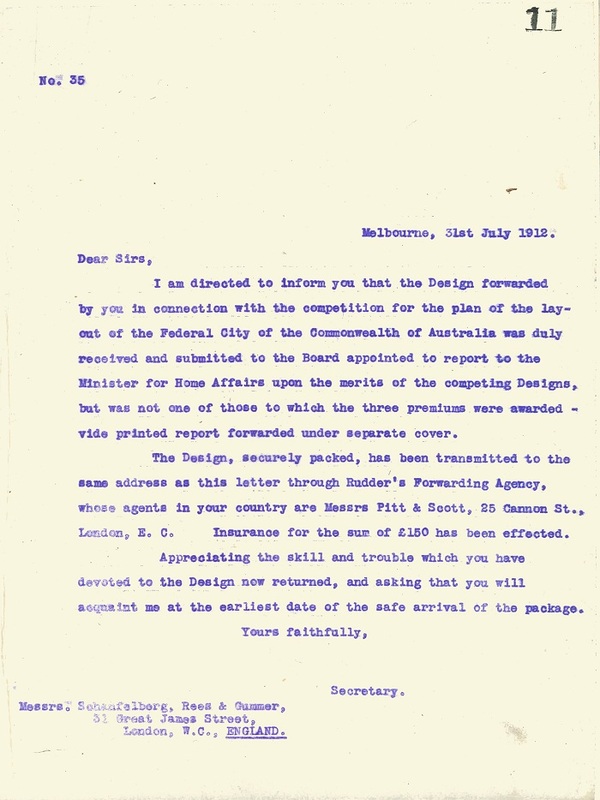 In 1911 the competition plan sets were distributed to major cities in Australia and overseas. 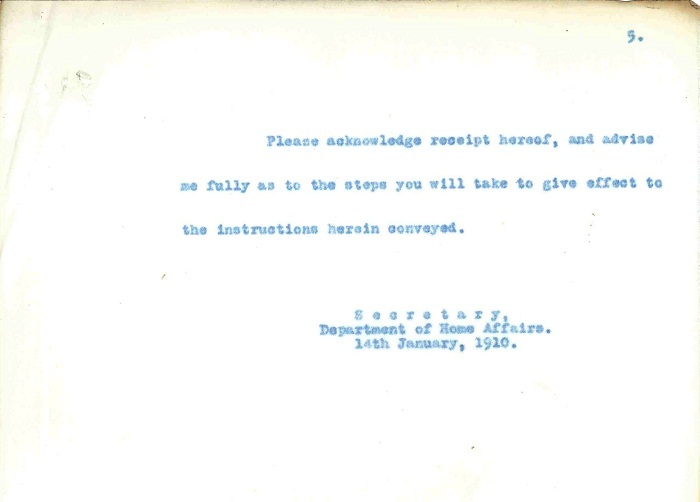 The following memorandum lists where these sets were distributed. 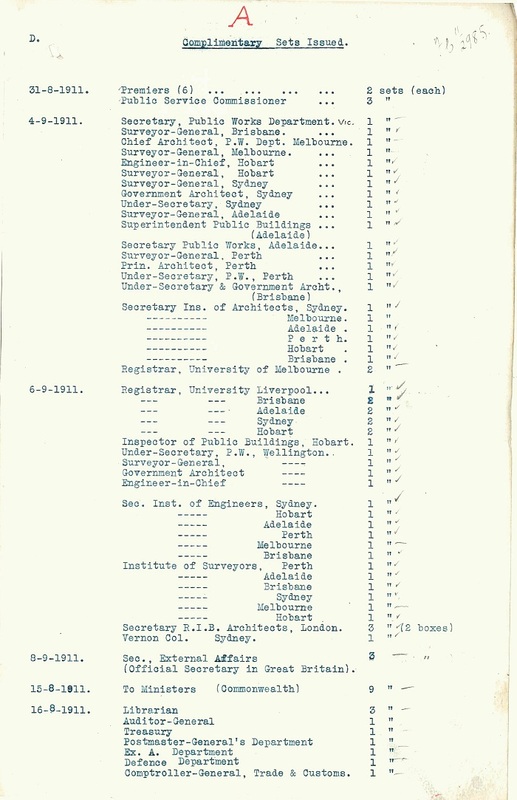 Additional sets were issued to various Government Departments, educational institutions and engineering and architectural institutes as listed below. 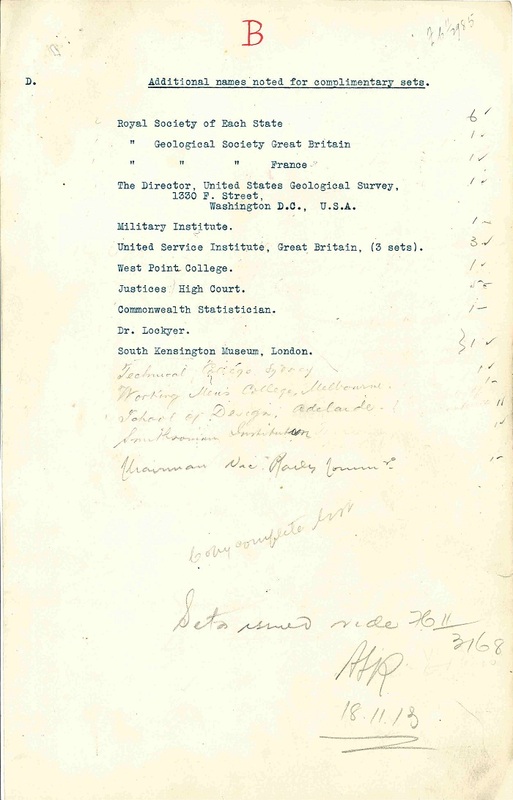 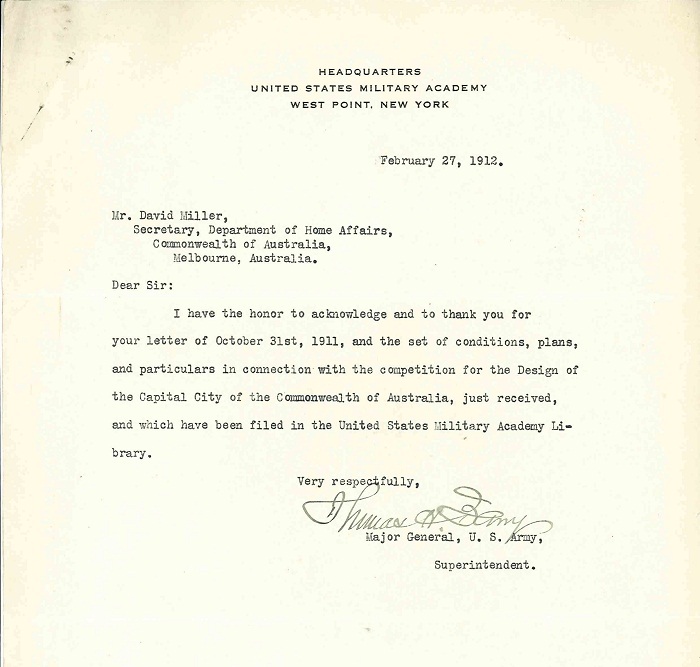 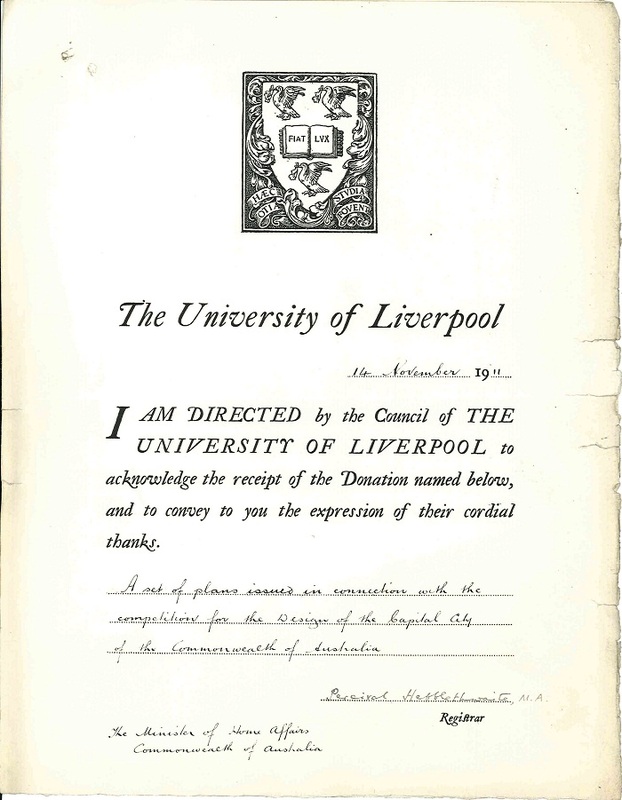 The last part of this file consists of letters acknowledging receipt of the competition plan sets such as these examples from the University of Liverpool, West Point Military Academy and the Smithsonian. 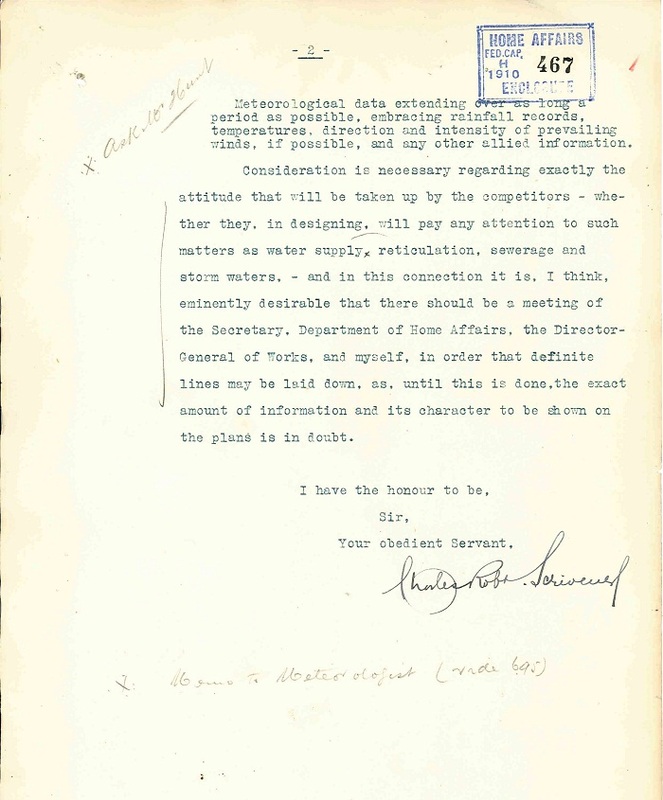 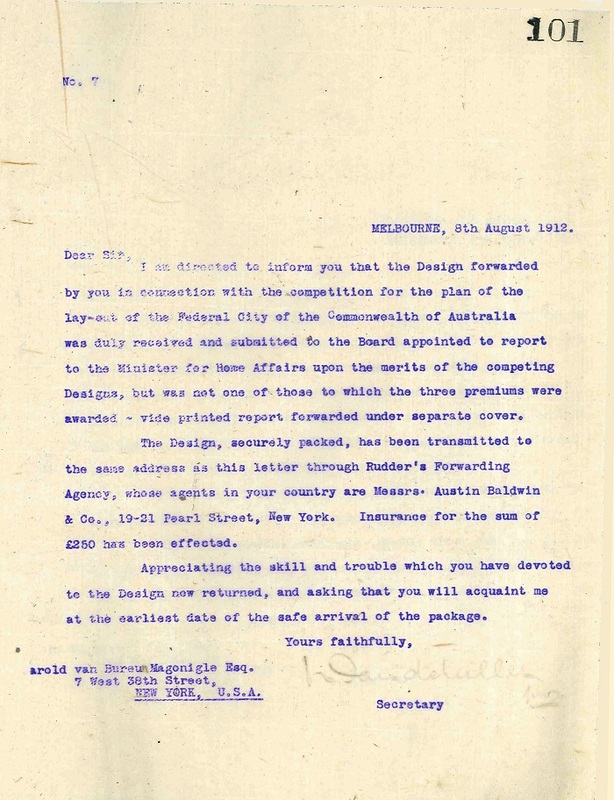 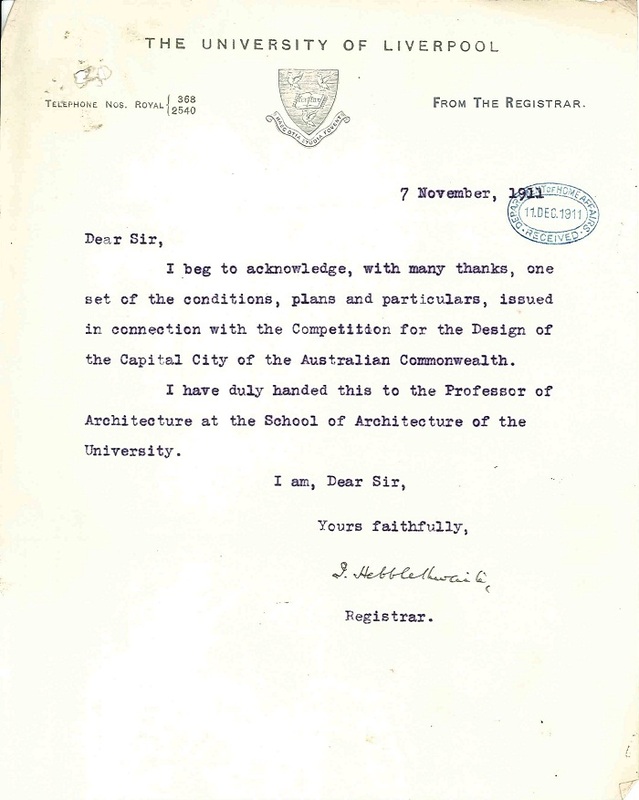 The accompanying letter book lists the unsuccessful applicants for the design competition and contains carbon copies of their rejection letters dating from July and August 1912. 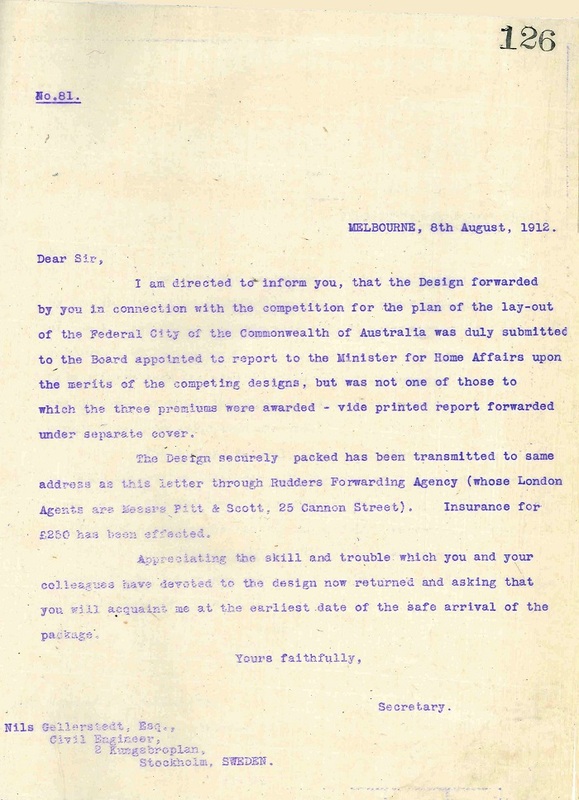 The following examples are the form letters sent to four of the top 10 shortlisted entrants.